Instagram is one of the most popular and fastest growing social networking app, especially for sharing photos, which has been owned by the giant famous social media app, Facebook. Now the Instagram is the choice of celebrities, brands and most of your friends are using it to share square photographs with fancy filters with their followers. Let’s see how to get more followers on Instagram. Also refer How to mute or block someone on Twitter. 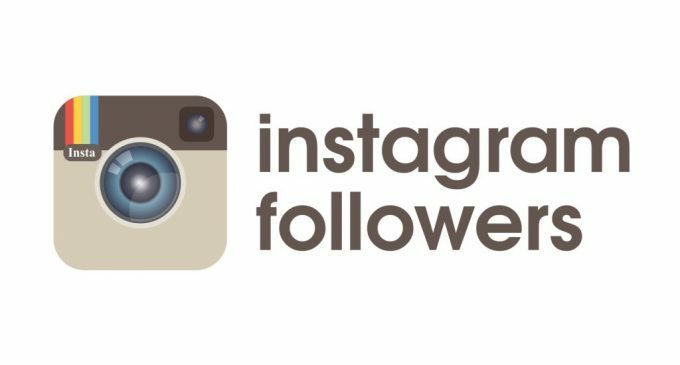 If you are the beginner with Instagram, the first and foremost thing is, you must get more followers by let your friends to know that you’ve arrived on the social networking site. For that, you must open the Instagram and go to your profile, then tap the Options cog in the top right corner. There you will see the options menu that has the options like Find People to Follow option, click that option and the tap the Connect Facebook. This will look at all of your Facebook friends and find out whether they use Instagram. Simply click the Follow All if you’re happy to do so, or choose which friends you want to follow individually. Back in the ‘Follow People’ menu, you’ll also find people that are suggested to you based on who you already follow. You can also search for people to follow by going to the ‘Explore’ tab. You’ll find that your followers grow quickly once you begin following others. You must add your biography in to your Instagram profile that must include the describe of yourself and your interests, and relevant hashtag and then press the Edit Profile button. The tap Bio and begin typing. Now, you should connect your Instagram account to your other social media accounts to improve your followers level to more. Go to your profile, tap the Options cog and then scroll down to ‘Share Settings.’ Here, you can connect your Instagram account with Facebook, Twitter, Tumblr and Flickr accounts so that your Instagram photos will be shared across those social networks. Still you want to grab the attention of more followers you must think in different way. Usually people are interesting in follow with other who are making more related things sharing. for example. Other car enthusiasts are likely to follow you if you don’t stray too far away from that cars theme with your photographs. If you are a travelers, people love to follow the snap of the place you’ve been most recently. If you want to more people to see your Instagram pics, you must consider the timing, usually people are more likely to watch photos in the morning while travelling to school/college/university, office at lunch time, and then in the evening. Make sure you space out your posts. If you’re clogging up someone’s feed, they’re likely to get a bit angry and they might unfollow you.If you allow Instagram to see your location, you’ll be able to geotag your posts. You can turn on ‘Add to Photo Map,’ and also add your location by tapping ‘Name This Location,’ both of which will help others discover your posts. Follow all these and sure we will be follow by more people as you expect.